Comprehensive care for newborns, young children and adolescents. The experienced pediatricians at Longstreet Clinic Pediatrics are devoted to providing the highest quality and most comprehensive care for newborns, young children and adolescents. At Longstreet Clinic, we take seriously our role in partnering with parents as their children grow. Scheduling regular check-ups and receiving appropriate immunizations are important to ensuring a child’s good health. Whether care is delivered in the doctor’s office, after hours or in the hospital, families can rely on the experienced providers and staff at Longstreet Clinic Pediatrics to provide comprehensive care each step along the way. A patient-centered medical home is a comprehensive approach to providing quality primary care. 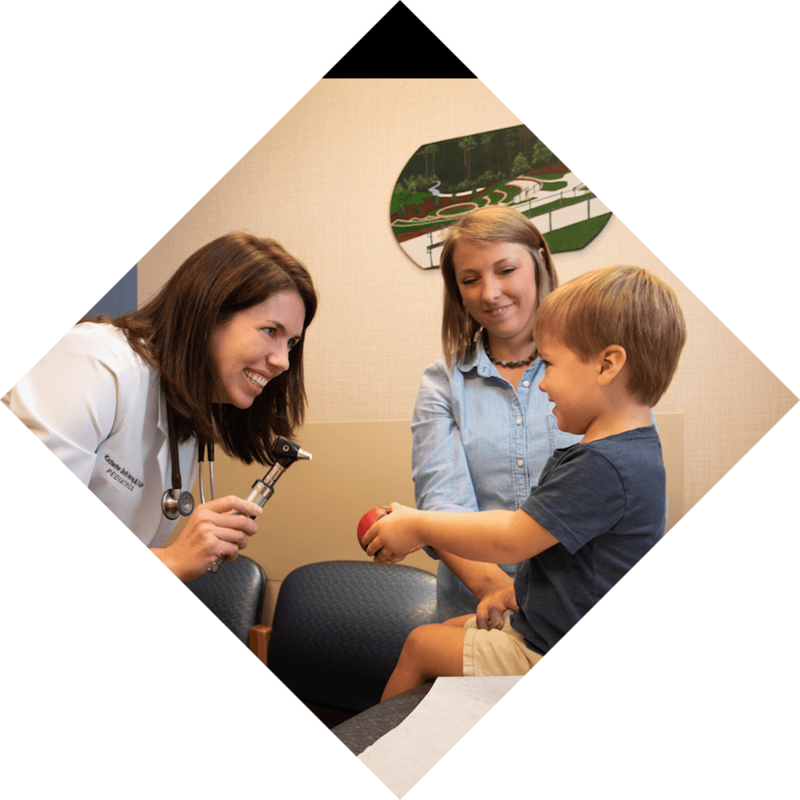 Longstreet Clinic Pediatrics works together in partnership with each child’s family to ensure all medical needs are met. Through this partnership, our pediatric team helps the patient and his or her family access and understand specialty care and other educational/community services. We are proud to provide accessible, comprehensive, family-centered care to each child we treat. Call today! All locations are open Monday through Friday, with additional hours on Saturdays in Gainesville.